The importance of measure as a philosophical notion, as a way of life and above all as a mechanism to seek and conquer values forms the core of Philippos Tsalahouris’ speech at TEDxPatras 2018. The musician and composer creates a value-able symphony of words for the audience, dedicated to those people and actions that exemplify measure, highlighting its significance as well as its potential effect, shaping one’s personality. Philippos Tsalahouris invites us to reflect, sharing his personal experience of understanding the notion of “measure” and redefining it as an absolute value. 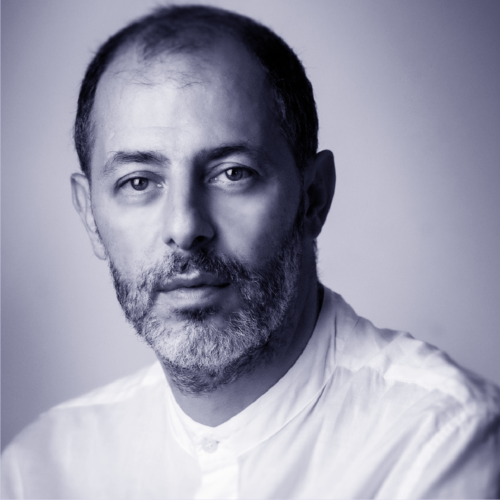 Philippos Tsalahouris is a musician, composer, Deputy Director and Professor at Athens Conservatoire. He was born in Central Africa in August 1969, but he grew up and studied in Athens. He is considered one of the most active composers of his generation. Among his more than one hundred works are five Symphonies, three single-act operas, the great opera “Julius Caesar”, string quartets, functions, concerts, chorals, etc. His works have been presented in Greece and in more than twenty countries by leading music bands. He worked at the Art Theater “Karolos Koun” from 1991 to 2005, while he also collaborated with the National Theater, the National Theater of Greece and other music institutions. Since 2004 he has been teaching at the Conservatory of Athens, where he is currently acting as the Deputy Director and Professor of Music Composition and History of Music. He has been a member of the Union of Greek Composers since 1996. In December 2008 he was awarded for his work by the Academy of Athens, with the “Papaioannou” Prize.